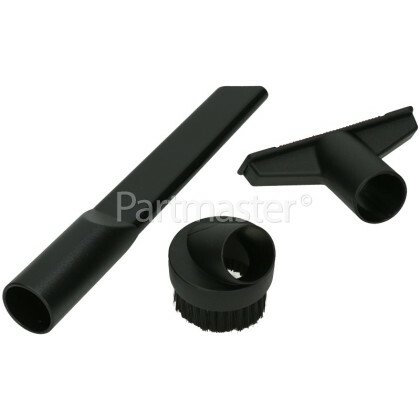 This 32mm Accessory Tool Kit includes a number of attachments for exceptional cleaning even in those hard to reach areas. For greater efficiency and precision, this tool kit provides a full range of attachments that clean every corner and crevice where dust is likely to gather. Suitable for most vacuum cleaners, these cleaning tools easily attach to your vacuum’s flexible suction hose or extension wand. 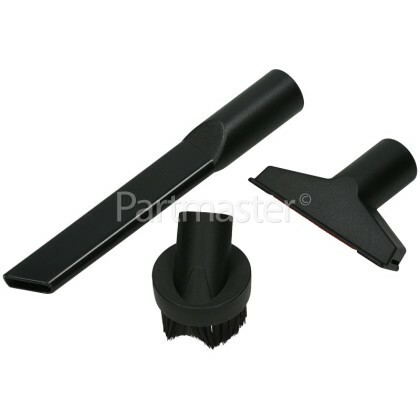 1 x Round Dusting Brush - Thanks to its small round shape, with the suction opening encircled in bristles, this tool is best for general hard-surface dusting and is a must for any place with has accumulated dust, cobwebs or crumbs like your computer keyboard, speakers, ceiling fans, window blinds, and lampshades. The bristles on the brush disrupt stubborn dust without scratching the surface you're cleaning. 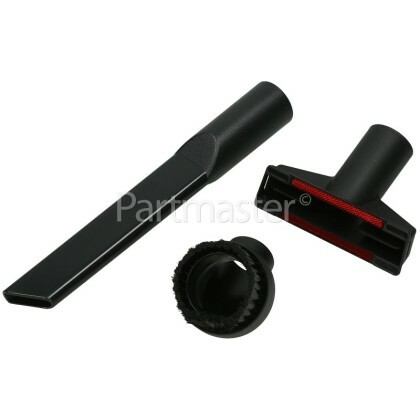 1 x Crevice Tool - Is excellently suited for cleaning narrow crevices and gaps. It fits directly onto the wand of the vacuum cleaner and is the must have attachment for cleaning behind beds and between car seats. Thanks to its compact size it lets you squeeze between the wall and the refrigerator, in between sofa cushions and under cabinets where your entire vacuum can’t reach. 1 x Upholstery Tool - Designed with a wider head than the crevice tool and it has no brushes or rollers. Usually it is hard to lift a vacuum onto your sofa, making the upholstery tool ideal for pulling dust and dirt out of furniture. This tool doesn’t have any brushes, but it is delivers typically more powerful suction to get the crumbs out of gaps in your upholstery. Tackle a wide range of cleaning activities more effectively and efficiently by selecting the Universal 32mm Accessory Tool Kit.